If there is one thing we learned from week 2 of the NFL, it’s that appearances are deceiving. 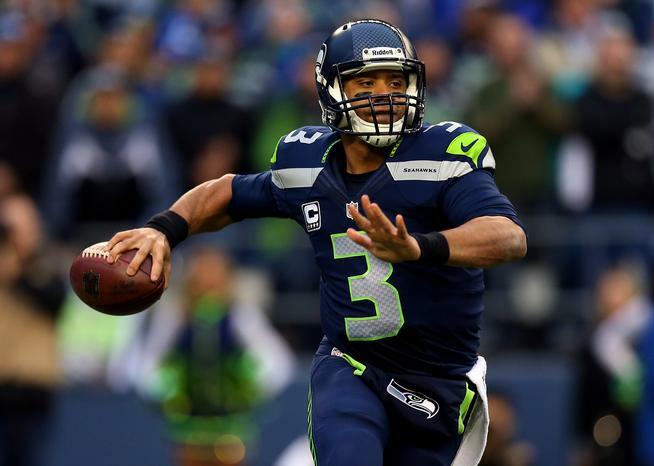 Are the Seahawks as vulnerable as they appeared in a 30-21 loss to San Diego?? Have we begun to see the cracks in the 49er defense, after allowing Chicago to score 21 4th quarter points in a 28-20 loss?? Seriously if they lose to Arizona this week, they’ll be 3rd in the west?? Seattle Seahawks will be the 2014 NFC Champions. 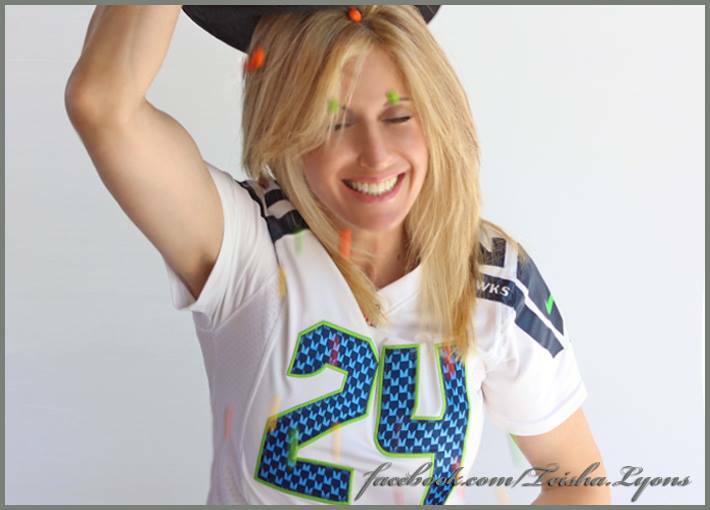 Joining The Chancellor of Football in Glendale Arizona and Super Bowl XLIX from the NFC will be the Seattle Seahawks. They will renew their playoff rivalry when they beat the Atlanta Falcons in the NFC Championship Game. 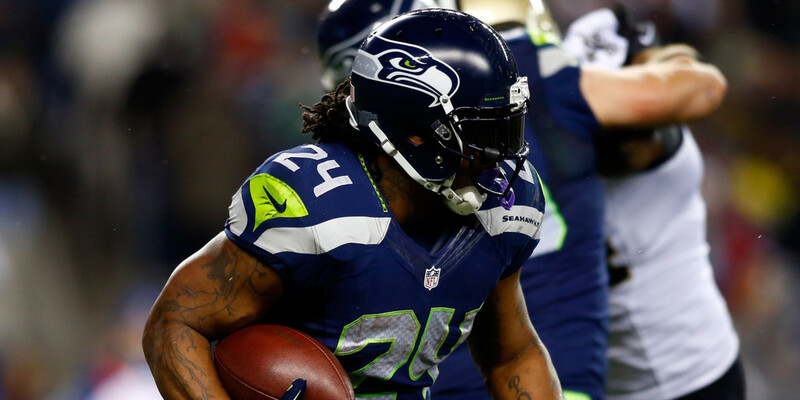 With another Super Bowl title, Lynch could be building a Hall of Fame resume. The Falcons went into the tank when they lost Julio Jones last year. They lost 6 games last year by 6 points or less. Not only do they bring back the big play with his return, now they have Devin Hester in the slot. This offense will be the scourge of the south. They just need to be adequate on defense and should finish with 12 wins. Similar situation will happen in the NFC North. Not in Green Bay but in the Windy City. Marc Trestman’s offense in it’s 2nd year should roll with Brandon Marshall, Alshon Jeffrey, and Matt Forte. The Bears receiving corps is so imposing they could win hurt just running hooks against the 49ers last week. No intricate pass patterns and they scored 21 unanswered points. Yes you did read correct The Chancellor of Football doesn’t think San Francisco will make the playoffs. A knee jerk reaction to blowing a big lead in week 2?? 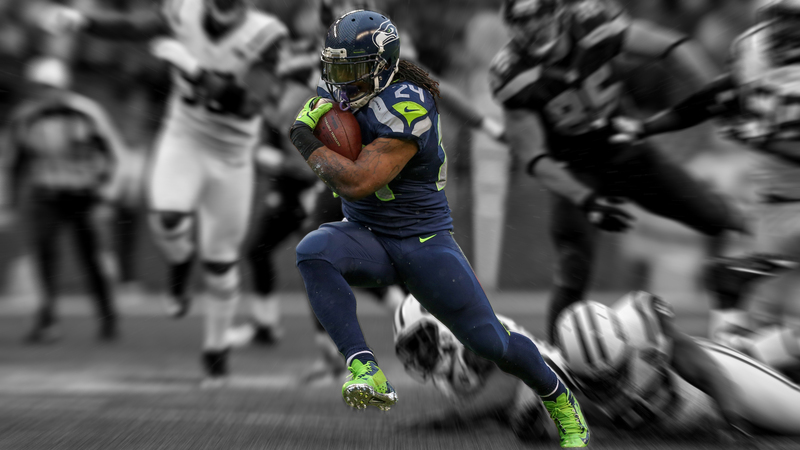 No try Taylor Blitz’s NFC West Preview before the season. They will lose to the Cardinals this week and the pressure will build from there. Calais Campbell has to come up big this season. Which brings us to the Cardinals who will win today to start 3-0. A great start but the losses they took on defense will take it’s toll as teams develop game plans for this new personnel. They surprised San Diego in week 1 with cover 0 blitzes. In fact, on the last 3 plays to end the game. Last week they beat the back pedaling Giants who look lost on offense. They are masking their limitations at linebacker with all this blitzing. It will catch up to them. Sproles has been the sparkplug behindthe Eagles 2-0 start. The Philadelphia Eagles will win the NFC East with the best personnel in the division. 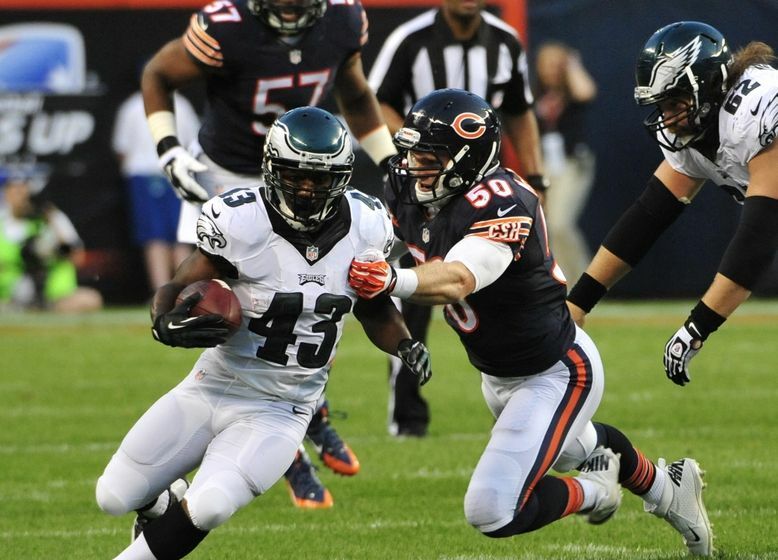 The acquisition of Darren Sproles will pay dividends all season. The inability to account for him has led to mismatches and huge momentum changing plays. These were the plays he used to make for the Saints when they’re offense bogged down. 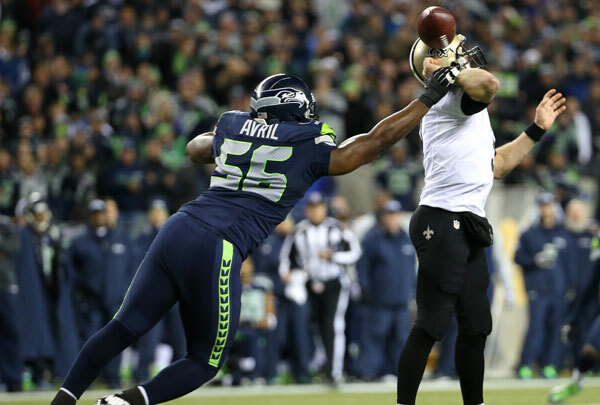 Sproles change of pace plays are exactly what the Saints miss in the NFC South. Although they’re 0-2, they lost those games by 3 points and 2 points respectively. We’re only talking a few plays per game difference and they’d be 2-0. Sproles is /was that difference. Sean Payton is using Mark Ingram more in the passing game but he’s not the dynamic playmaker Sproles was. Brees and the offense will get it together despite the slow start. 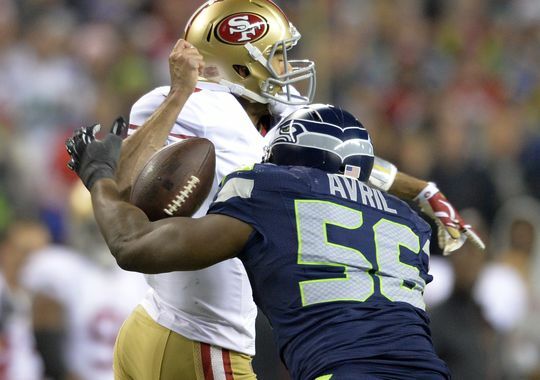 Cliff Avril still brings pressure from the edge. Last week the Seahawks learned what it meant to be the Super Bowl for every opponent they will face this year. The Chargers were crisp and physical in their offensive execution. This week they get to right the ship against the finesse Denver Broncos. One aspect of their defense this year is they need more heat on the quarterback. So far they have just 4 sacks and a 1-1 record. They will right the ship and should finish with homefield advantage. 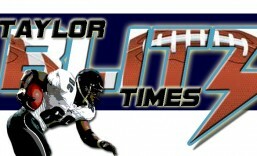 Under normal circumstances Taylor Blitz Times would have these published before the season starts. However this has been a different off-season where more focus was on historical articles. Although we’re 1 week into the new season, we still haven’t seen a sample size large enough to alter The Chancellor of Football’s picks. The representative to make it to Glendale, AZ and Super Bowl XLIX will be the Denver Broncos. They will narrowly defeat the Cincinnati Bengals in the AFC Championship Game they should win at home. Ware will make Von Miller a better player as well. Lets face facts, not many trust Bengals QB Andy Dalton but he will take a big step up this year and win his first playoff game. He won’t have the moxie to take on not only Peyton Manning but what should be one of the AFC’s best defenses. 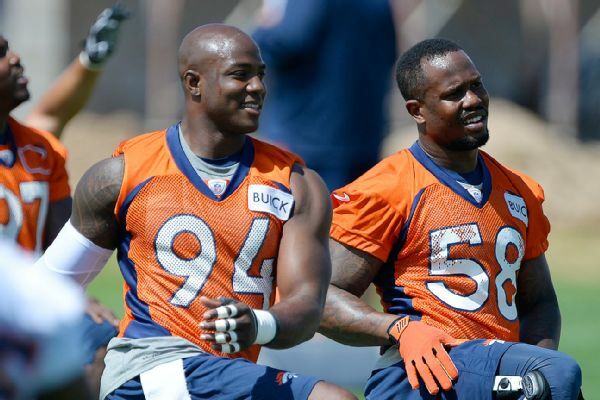 The signing of DeMarcus Ware, TJ Ward, and Aquib Talib give the Broncos a defensive swagger they haven’t had before. More importantly none of these players have won a championship which only adds to the overall hunger of the team. The Broncos won’t score anywhere near last year’s 606 point performance. They won’t have to as they will become more balanced. The player that is growing on The Chancellor the most is Andrew Luck. Right behind these two teams will be the Indianapolis Colts and New England Patriots. 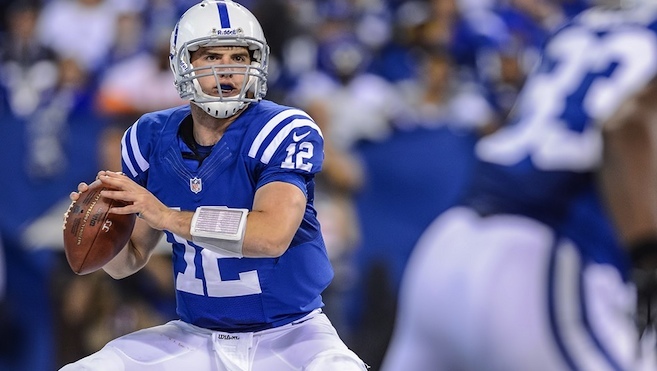 Was there anyone more impressive than Andrew Luck in week 1 of the NFL season?? The fight he brought the Colts back with was infectious. He made his entire team believe they could come back and they were playing without DE/LB Robert Mathis. The Colts gained more from that 31-24 loss in Denver than teams that won in the first week. The Patriots will bounce back from week 1 but will they feel the effects of trading away G Logan Mankins the rest of the season?? Brady and the offense was under attack in their 2nd half loss to the Dolphins. They gained less than 100 yards as Miami pulled away. Bill Belichick will right the ship and they should win the AFC East with at least 11 wins. The Bengals and Colts look like the two that will play in the 2015 AFC Championship Game however we have to get through 2014 first. The Broncos will look to take a more battle hardened team to Glendale than the one they took to New York last year. Will Denver win Super Bowl XLIX?? Its football season and all is right with the world. Unlike in previous seasons, The Chancellor of Football spent the majority of this summer writing historical pieces instead of in depth team previews. However nearly every preseason game was watched as well as the roster moves for the top tier teams. So without further adieu lets take a look at the NFC for 2014. No division will see as big a drop off in production as the NFC West. Once the province of 3 Super Bowl caliber defenses only 1 remains. Arizona lost Darnell Dockett off the DLine. He used to take on and beat double teams allowing Karlos Dansby, Daryl Washington to flow sideline to sideline to the football. 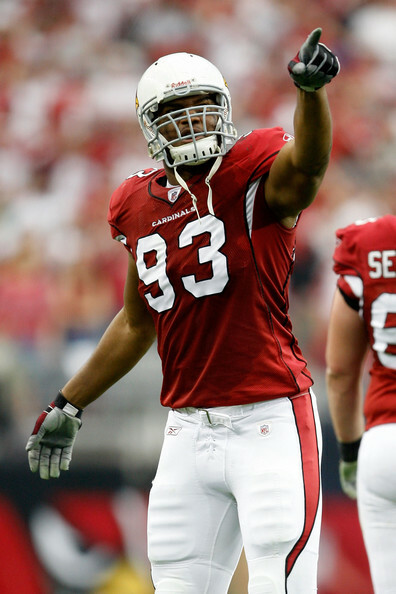 With his being gone for the season, teams will focus on DE Calais Campbell. Rendering him less effective. 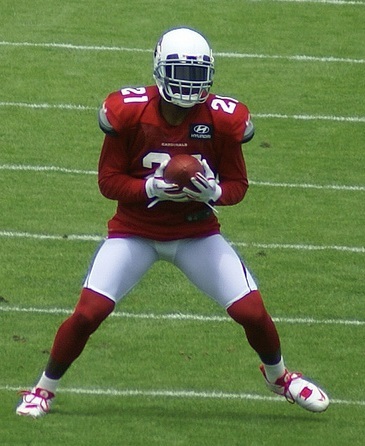 Pro Bowl Corner Patrick Peterson and the secondary have to pick up the slack. Couple the loss of Dockett with the free agent defection of Dansby and season long suspension of Washington, the heart & soul of this unit is gone. How about the pending suspension for pass rush specialist John Abraham?? With 13 year veteran Larry Foote and Kevin Minter taking over for Dansby and Washinton this defense became two steps slower. Worse they’ll have to substitute more telegraphing their intentions. Carson Palmer is the Andy Dalton of the NFC. One week he looks like a world beater then he’ll play uninspired and throw head scratching interceptions. He has to play his best to lift this team but he is a beta quarterback. His career has already been defined by this and it won’t happen. Ask the Raiders and ask Cincinnati. In San Francisco…see the above about the Cardinals. Former Taylor Blitz Times Defensive Player of the Year Navorro Bowman will start on the PUP list which keeps him off the field until week 7. OLB Aldon Smith (28 sacks last 2 years) faces a 9 game suspension along with DE Ray McDonald facing a 6 game suspension. Just days after Roger Goodell unveiled his new discipline protocol for domestic violence too?? He might get more than 6 games. Now couple this with GM Trent Balke not willing to offer a contract extension to Head Coach Jim Harbaugh. 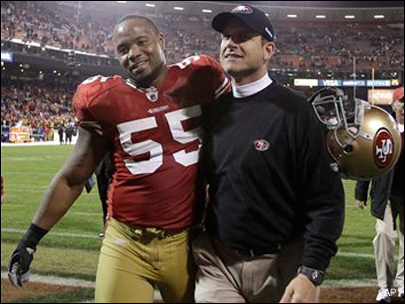 In fact Balke and 49ers brass almost traded Harbaugh to the Cleveland Browns this summer. Traded?? Yes. There have been grumblings his message is getting old in San Francisco and now he’s being tied to the development of one Colin Kapernick. Honestly his game has not advanced in this last year and a half. If this team comes out to the 2-4 record The Chancellor sees on the horizon, this science beaker will explode. Let’s say they are 3-3 or even 4-2. 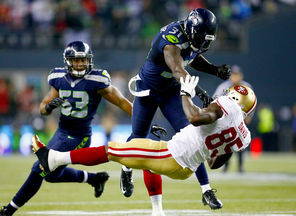 They will still drag a hodge podge defense into a week 7 road match-up with Peyton Manning and the Denver Broncos. Denver pasted the 49ers 34-0 in preseason to christen their new stadium. It could begin with a loss to the Cowboys in week 1. One pass defense could have altered the legacies of both teams. With all that has been offered: How significant was this pass defense in the grand scheme of these teams?? Their legacies?? Where they’re going?? Seattle just jumped all over the Green Bay Packers last night 36-16 to begin the defense of their Super Bowl championship. 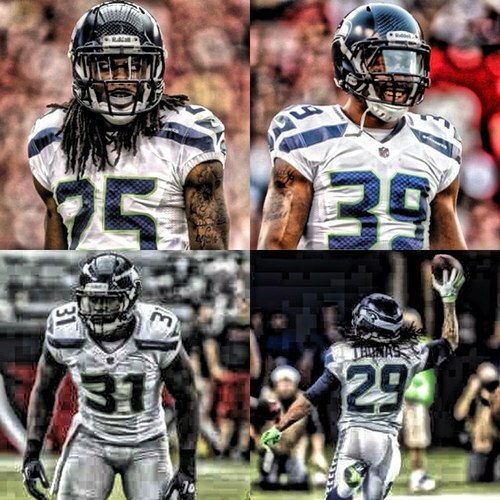 We do know what team will face them in the NFC Championship but won’t reveal it until later. One hint… it won’t be a team from the NFC West. The Cleveland Browns are starting to demonstrate when subterfuge gives way to not knowing when to stop talking. General Manager Ray Farmer says that incumbent starter Brian Hoyer is ahead of Johnny Manziel by a wide margin. Really?? Then why were you looking for a quarterback in the first round again?? Manziel at his first rookie camp in Cleveland. There is a difference between making a person earn their keep and when you can start to erode one’s confidence or irritate a player. Coming off like this in the press isn’t in your best interest. Be conservative with what you express outwardly. You’re Cleveland, not the Dallas Cowboys. Deflect the questions in a way that doesn’t come off as pompous or dismissive. Especially to one you want to develop into becoming the face of your franchise. When grooming a quarterback to be a leader, you never tear him down publicly or even in front of his teammates. It has to happen behind closed doors. Manziel will have enough critics trying to break him down in AFC North defenses, than in the coming competition with Hoyer for the starting QB spot. You have to show more of a partnership approach so Manziel knows you’re in it with him. Otherwise he’ll develop as a quarterback but you could erode his stance to be viewed as a leader within the structure of the team. So my message is simple… close ranks. 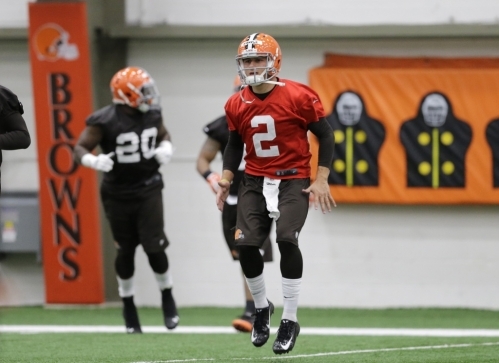 Be the quiet Cleveland Browns and leave everyone guessing how Manziel is doing in the OTAs. Go so far as limiting how much press can even be around Manziel to minimize the circus on the inside. Make Roger Goodell fine you because of the secrecy kept in limiting the press access to your team. Then stop talking altogether to build anticipation while others speculate on what they will see when the 2014 Browns take the field in preseason. While its important to know how to sell, it’s just as important to know when to sell. Be very quiet in the front office Cleveland. Go groom Manziel behind an iron curtain. 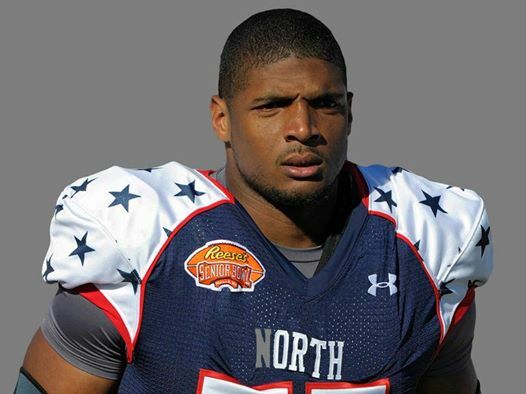 Now the world is abuzz with the first openly gay player in Michael Sam drafted by the NFL. The ironic side to this is how this story had gone away in the month before the draft. After coming out, talk had died down once the combine and pro day at Missouri was over. Pundits waxed philosophical about what quarterback would be taken where in the following weeks. Once Johnny Manziel was drafted, there was no lead story until Sam’s selection in the 7th round and the kiss seen around the world. The SEC Co-Defensive Player of the Year, Michael Sam was drafted in the 7th round by the St Louis Rams. Now we see draftees every year turn and kiss their girlfriends, fiances, and the loving peck on the cheek to dear old mom. It happens all the time, but nothing like this. Which tells you all you need to know about Sam. He understands he is carrying the torch for the gay community into the NFL and is going to be front and center about it. Yet when you calculate your moves for maximum affect as he has, were these the best things to do for Michael Sam the football player?? As a 7th round draft pick, wouldn’t he have been better served to come in quietly with the focus on making the team?? He has put a bigger target on his back because of it and the scrutiny has just started. Don’t forget he is coming into a Rams pass rush that was 3rd in sacks with 53 on the year. All Pro Defensive End Robert Quinn was 2nd in the league with 19 sacks followed by Chris Long’s 8.5. Four players recorded 5 or more sacks last season are still on the roster. This is going to be no easy task. He will have to play special teams and could make it if the Rams mimic the Nickel rush of Seattle’s with 3 speed rushing ends. However we’re moving into supposed uncharted territory with Sam being the first openly gay active player. David Kopay, the late Jerry Smith of the Redskins, and the late Roy Simmons of the New York Giants were the first to come out after their careers ended. There have been rumors on players over the years but this will be different. The issue being put forth seems to be more about life style choice than it is about being able to play football. The Miami Dolphins moved swift to fine CB Don Jones for tweeting disgust of the kiss between Sam and his partner. Then sent to sensitivity training also. Why isn’t he entitled to voice his own opinion?? He didn’t stop Sam from entering a locker room or causing a problem within a team structure. Everyone won’t be comfortable with the changes taking place with the inclusion of openly gay players. The media is pushing this too strongly and it’s forcing a backlash of either you support the cause, or ostracized for non support. That is wrong. The gay agenda has been thrust on to everyone in a way that makes many of us Americans uncomfortable. Tolerance is different than acceptance. Sam needs to be accepted by his teammates and his lifestyle tolerated. Not everyone is going to like it and some based on religious grounds. The pendulum has swung too far when a person can’t voice their opinion without sanctions levied against them. What the Dolphins did was wrong. Ease up on the knee-jerk reactions. As for Michael Sam, better click clack that chinstrap. You have to go against the Rams #1 draft pick in Tackle Greg Robinson. Your mission, should you choose to accept it, is to make the opening day roster and that task begins here.